The Bic Sup 10’6 Performer Soft Package will perform as as all round board for riders up to 110kgs and as a performance surf SUP for riders up to 110kgs. It features even volume distribution, confidence-inspiring width and a refined rocker profile for surf performance as well as flatwater glide. 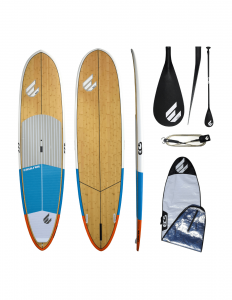 This is a highly versatile SUP suitable for a wide range of conditions. The boards also come with a ERGO-GRIP carry handle there fore Easier Transport + Less Fatigue! 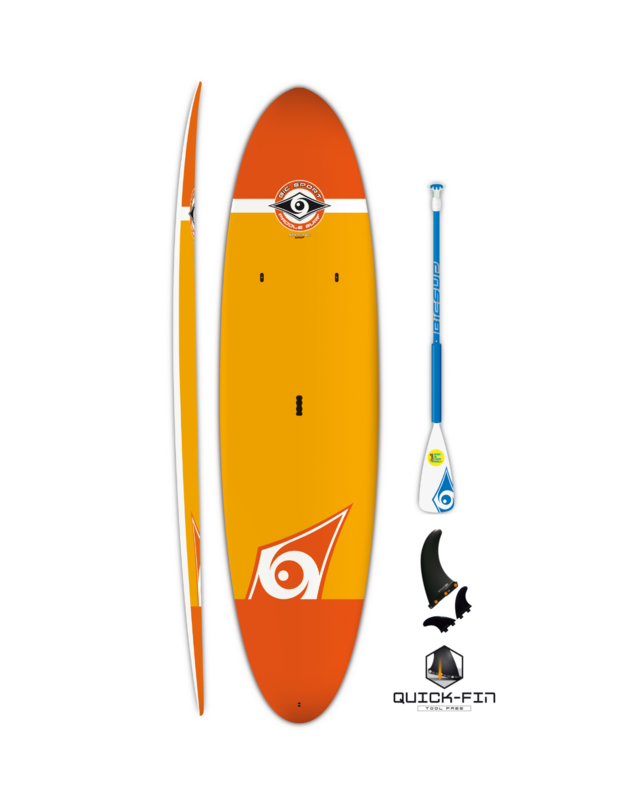 Other features of the board are a Surf-Inspired Longboard Shape for stable flat water cruising and wave surfing performance. Attachment Points – Leash plug at tail + two attachment points in front of standing area for securing gear, Embossed EVA deck pad is plush and comfortable while offering excellent traction. 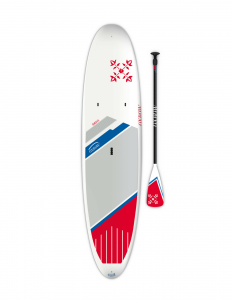 The Bic Sup 10’6 Performer Soft Package includes a Full Adjustable paddle, Board and Tool Free Quick fin plus Side fins.